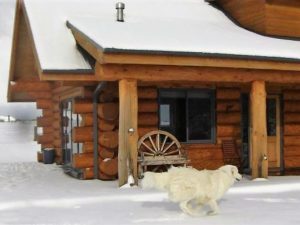 Cabin: The Hollows’ is a completely self-contained, luxury two-bedroom log cabin, situated at the foot of beautiful Lake Te Anau. The cabin was completed in January 2009, and being self-contained, it offers peace, tranquillity and luxury. The distinctive log cabin blends into the native landscaping and offers protected views of the mountains and Lake Te Anau.